Time for the quarterly linkfest! Got stories for next time? Contact us. BP's new supercomputer, reportedly capable of about 2.2 petaflops, is about as fast as Total's Pangea machine in Paris, which booted up almost a year ago. These machines are pretty amazing — Pangea has over 110,000 cores, and 442 terabytes of memory — but BP claims to have bested that with 1 petabyte of RAM. Remarkable. I'm a geoscientst, get me out of here is a fun-sounding new educational program from the European Geosciences Union, which has recently been the very model of a progressive technical society (along with the AGU is another great example). It's based on the British outreach program, I'm a scientist, get me out of here, and if you're an EGU member (or want to be), I think you should go for it! The deadline: 17 March, St Patrick's Day. Darren Wilkinson writes a great blog about some of the geekier aspects of geoscience. You should add it to your reader (I'm using The Old Reader to keep up with blogs since Google Reader was marched out of the building). 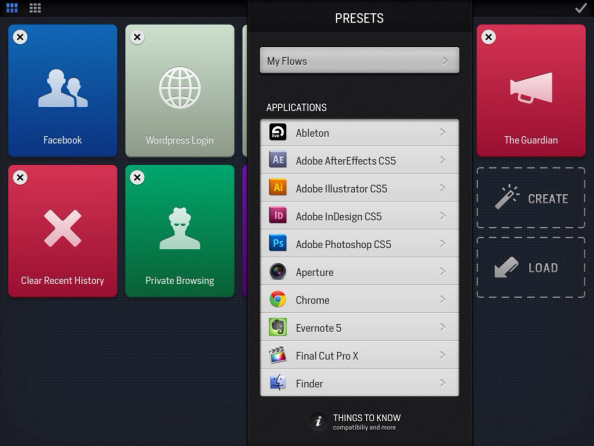 He wrote recently about this cool tool — an iPad controller for desktop apps. I have yet to try it, but it seems a good fit for tools like ArcGIS, Adobe Illustrator. Speaking of big software, check out Joe Kington's Python library for GeoProbe volumes — I wish I'd had this a few years ago. Brilliant. 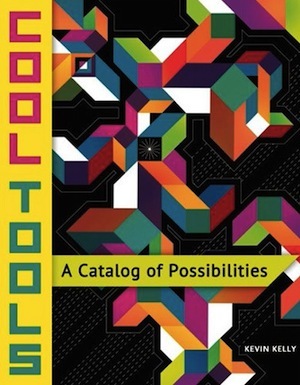 And speaking of cool tools, check out this great new book by technology commentator and philosopher Kevin Kelly. Self-published and crowd-sourced... and drawn from his blog, which you can obviously read online if you don't like paper. If you're in Atlantic Canada, and coming to the Colloquium next weekend, you might like to know about the wikithon on Sunday 9 February. We'll be looking for articles relevant to geoscientists in Atlantic Canada to improve. Tim Sherry offers some inspiration. I would tell you about Evan's geocomputing course too... but it's sold out. Heard about any cool geostuff lately? Let us know in the comments. It's another linkfest! All the good stuff from our newsfeed over the last few weeks. We mentioned the $99 supercomputer in April. The Adapteva Parellella is a bit like a Raspberry Pi, but with the added benefit of a 16- or 64-core coprocessor. The machines are now shipping, and a version is available for pre-order. In the British Islands alone, twice as much oil as the navy used last year could be produced from shale. — Winston Churchill, July 1913. This surprising quote was doing the rounds last week (I saw it on oilit.com), but of course Churchill was not fortelling hydraulic fracturing and the shale gas boom; he was talking about shale oil. But it's still Quite Interesting. Chris Liner's blog is more than quite interesting — and the last two posts have been especially excellent. The first is a great tutorial video describing a semi-automatic rock volume estimation workflow. You can get grain size and shape data from the same tool (tip: FIJI is the same but slightly awesomer). And the most recent post is about a field school in the Pyrenees, a place I love, and contains some awesome annotated field photos from an iPhone app called Theodolite. Regular readers will already know about the geophysics hackathon we're organizing in Houston in September, timed perfectly as a pre-SEG brain workout. You don't need to be a coder to get involved — if you're excited by the idea of creating new apps for nerds like you, then you're in! Sign up at hackathon.io. If you crave freshness, then check my Twitter feed or my pinboard. And if you have stuff to share, use the comments or get in touch — or jump on Twitter yourself! Our old friend the News post... We fell off the wagon there for a bit. From now on we'll just post news when we collect a few stories, or as it happens. If you miss the old last-Friday-of-the-month missive, we are open to being convinced! Back in November we mentioned Canopy, Austin-based Enthought's new Python programming environment, especially aimed at scientists. Think of it as Python (an easy-to-use language) in MATLAB form (with file management, plotting, etc.). Soon, Enthought plan to add a geophysical toolbox — SEGY read/write, trace display, and so on. We're very, very excited for the future of rapid geophysical problem-solving! More on the Enthought blog. I recently got a Raspberry Pi — a $35 Linux machine a shade larger than a credit card. We're planning to use it at The HUB South Shore to help kids learn to code. These little machines are part of what we think could be an R&D revolution, as it gets cheaper and cheaper to experiment. Check out the University of Southampton's Raspberry Pi cluster! If that's not awesome enough for you, how about Parallella, which ships this summer and packs 64 cores for under $100! If you're a software developer, you need to think about whether your tools are ready for parallel processing — not just on the desktop, but everywhere. What becomes possible? Unless you have been living on a seismic boat for the last 3 years, you can't have failed to notice 3D printing. I get very excited when I think about the possibilities — making real 3D geomodels, printing replacement parts in the field, manifesting wavefields, geobodies, and so on. The best actual application we've heard of so far — these awesome little physical models in the Allied Geophysical Laboratories at the University of Houston (scroll down a bit). Nothing to do with geophysics, but continuing the hacker tech and maker theme... check out sugru.com — amazing stuff. Simple, cheap, practical. I am envisaging a maker lab for geophysics — who wants in? Is Oasis the new Ocean? Advanced Seismic is a Houston-based geophysical software startup that graduated from the Surge incubator in 2012. So far, they have attracted a large amount of venture capital, and I understand they're after tens of millions more. They make exciting noises about Oasis, a new class of web-aware, social-savvy software with freemium pricing. But so far there's not a lot to see — almost everything on their site says 'coming soon' and Evan and I have had no luck running the (Windows-only) demo tool. Watch this space. The world's longest-running lab experiment is a dripping flask of pitch, originally set up in 1927. The hydrocarbon has a viscosity of about 8 billion centipoise, which is 1000 times more viscous than Alberta bitumen. So far 8 drops have fallen, the last on 28 November 2000. The next? Looks like any day now! Or next year. Image: University of Queensland, licensed CC-BY-SA.